Rock Rapids, Iowa — The ribbon has been cut on the brand new, $28 million hospital and clinic building in Rock Rapids. 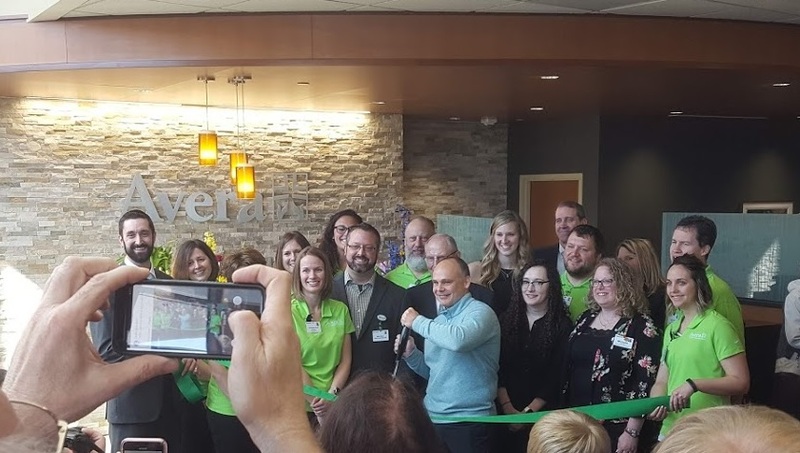 A large crowd was on hand at Merrill Pioneer Community Hospital – Avera, to listen to a short presentation and witness the green ribbon being cut, with the scissors wielded by the facility’s Dr. Dave Springer of Rock Rapids. Craig Hohn, the new Hospital Administrator tells us his thoughts on the occasion. He tells us what the new facility has to offer. The celebration included self-guided tours of the hospital and clinic and a chance to see the Avera Careflight helicopter, which the pilot says can transport patients to Avera McKennan Hospital in Sioux Falls in 12 minutes. The facility opens on May first. This entry was posted on Sunday, April 14th, 2019 at 6:03 pm	and is filed under News. You can follow any responses to this entry through the RSS 2.0 feed. Both comments and pings are currently closed.